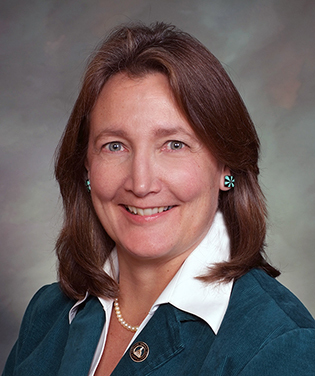 State Senate president pro tem Ellen Roberts, R-Durango, says she’s focused on lowering healthcare costs in this week’s legislative session and not the possible domino effect if U.S. Rep. Scott Tipton decides to challenge U.S. Sen. Michael Bennet in November’s election. Roberts, who last June officially pulled her name off the long list of Bennet’s possible GOP challengers, told The Colorado Statesman she’s heard Tipton will not challenge Bennet, adding she’s fully focused on the 2016 state legislative session and not a possible run for Tipton’s 3rd Congressional District, which includes part of Eagle County. Regardless, Roberts is urging her fellow state lawmakers on both sides of the aisle to focus on solving Colorado’s pressing policy problems rather than running bills aimed at making political statements during an election year. “My concern is that election cycle 2016 is going to consume our 120 days at the Legislature, and I truly hope that we exercise some self-discipline individually as well as our political parties to actually get work done,” Roberts said. However, partisan rancor is already rearing its head on the healthcare front, with Republicans, including Roberts, strongly indicating they’ll try to torpedo Democratic plans to pull the state’s hospital provider fee out of the Taxpayer Bill of Rights revenue cap during budget negotiations. And the primary legislative focus for Roberts, who chairs the Colorado Health Insurance Exchange Oversight Committee, will be running a bill to obtain a Section 1332 waiver under the federal Affordable Care Act that would allow Coloradans seeking health insurance through the Colorado Health Insurance Marketplace to avoid enrolling in Medicaid. Roberts argues that the ever-expanding rolls of Medicaid recipients are increasing the costs of healthcare in her rural, eight-county district in Southwest Colorado and throughout the state because there aren’t enough providers accepting Medicaid because of low reimbursement rates. “Colorado really needs to take the bull by the horns and come up with a better solution, and it’s sure not Sen. [Irene] Aguilar’s $25 billion solution, because that’s not going to work,” Roberts said, referring to Aguilar’s Colorado Care single-payer ballot initiative proposal. 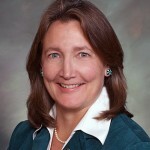 Aguilar, a Democrat and a Denver internal medicine doctor, agrees with Roberts that healthcare costs need to come down in rural areas and Medicaid reimbursement rates need to go up, but she counters that Roberts’ Medicaid opt-out plan is a “non-starter” because one of the requirements of a 1332 waiver is that it’s budget neutral for the federal government over the next 10 years. Aguilar, who’s one of only two Democrats on the Health Insurance Exchange Oversight Committee, told The Statesman there are two ways to keep healthcare costs down on Colorado’s rural Western Slope, and one of them involves a budget battle to keep the governor from cutting a nearly $150 million primary care bump that keeps Medicaid reimbursement rates close to federal Medicare rates. Aguilar says studies show that keeping people with their primary care docs lowers costs and reduces emergency room visitation rates and hospital stays. The other way to keep costs down is to better coordinate care in rural areas for higher-cost patients with medically complex problems. Roberts says private insurance companies have dramatically increased premiums, co-pays and deductibles in her district in order to compensate for enrollees lost to Medicaid, which she argues is simply passing the costs from the private sector to a government program. “A lot of the policy decisions that have been made, frankly under Democratic control whether at the federal or state level, are driving away a lot of our working-class and middle-class Coloradans, or at least making them question whether they can stay in Colorado,” said Roberts, who worked as a chairlift operator and park ranger when she first moved to Colorado. Aguilar and other Senate Democrats wouldn’t speculate on whether Roberts is taking her anti-Medicaid, anti-ACA stance for political reasons and a possible congressional run. Sen. Matt Jones, D-Louisville, says he assumes Roberts is acting from her experience chairing the committee, but he disagrees with her approach. “We expanded Medicaid, which was more service than people had before, even if there weren’t doctors available,” Jones told The Statesman. “I know there’s a shortage in rural Colorado, but that’s another issue. Other than calling Roberts’ bill a non-starter, Aguilar wouldn’t speculate on her motivations. After that she says it’s really just a matter of whether those statement bills die quietly in committee or catch fire because they’re a hot topic nationally. “Really, the question is what kind of attitude do people come in with with their bills that they know are making statements and do they die quickly, or do they die after a lot of pain,” Aguilar said.